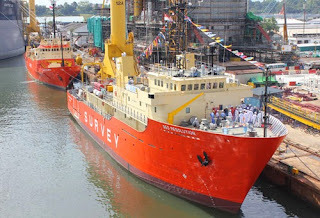 Twenty-two ships are expected to arrive at the Lagos ports with various products, the Nigerian Ports Authority (NPA) said on Monday in Lagos. The Nigeria Customs Service (NCS) has commenced assessment of Customs duty and other charges on textile materials currently in detention in Kano. 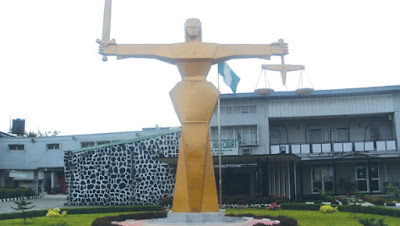 The Nigerian Maritime Law Association (NMLA) has confirmed Justice Ibrahim Buba of the Federal High Court as Guest Speaker at the annual NMLA Maritime Law Seminar. 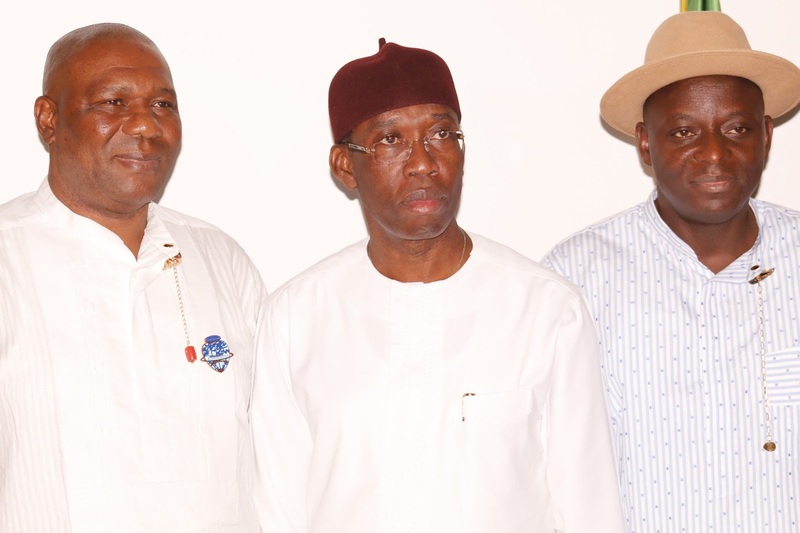 L-R Richard Smith ,Trade and Marketing Director ,Central ,W/Africa cluster ;Chairman Shipping Association of Nigeria, Val Usifoh ;Managing Director NPA ,Alhaji Sanusi Lamido Ado Bayero and Executive Director, Marine and Operations NPA ,Engr David Omonibeke when the Shipping Association executives paid a courtesy call to the NPA MD at Marina. 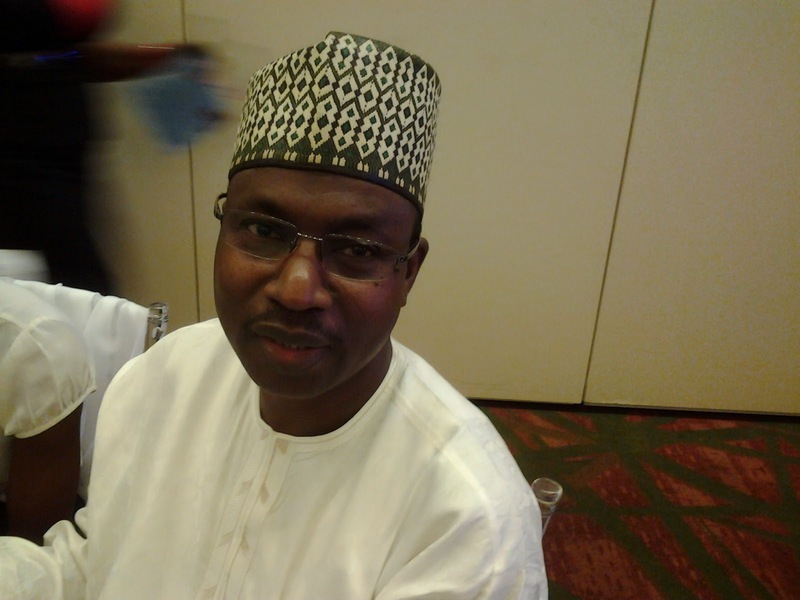 The Managing Director, Nigerian Ports Authority (NPA), Alhaji Sanusi Lamido Ado Bayero, has directed that immediate temporary rehabilitation works should commence on the deplorable port access roads linking Apapa and Tin Can Island Ports. The Prime Minister of Singapore, Lee Hsein Loong, has officially opened PSA Singapore Terminals’ latest developments of the Pasir Panjang Terminal (PPT), which is due to be completed by 2017. Nigeria’s High Commissioner to the United Kingdom and Permanent Representative to International Maritime Organisation (IMO), Dr Dalhatu Sarki Tafida handing over the instruments of Accession to the IMO Secretary General, Mr Koji Sekimizu. 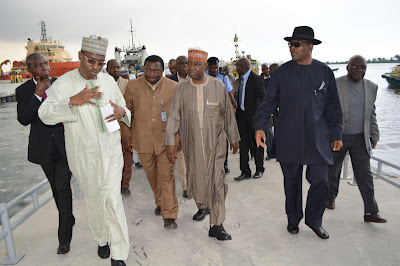 L-R: Executive Director Maritime Safety and Shipping Development, Nigerian Maritime Administration and Safety Agency (NIMASA), Capt. 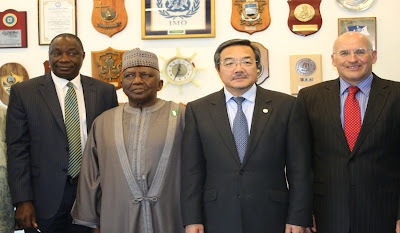 Bala Agaba, Nigerian High Commissioner to the United Kingdom and Permanent Representative to IMO, Dr Dalhatu Sarki Tafida, Secretary General International Maritime Organisation (IMO), Mr Koji Sekimizu, Director of Legal IMO, Mr Friedrick Kenny during Nigeria’s handing over of the instruments of Accession at the IMO Headquarters in London. Nigeria has taken a major step towards concluding the process of domesticating five International Maritime Organisation (IMO) regulatory instruments with the submission of the instruments of assent to five protocols of the IMO in London. 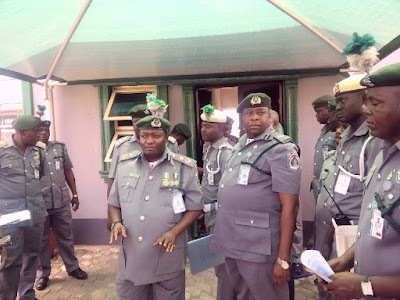 The President of Association of Nigerian Licensed Customs Agents (ANLCA), Alhaji Olayiwola Shittu, on Wednesday denied the involvement of members of his association in the incident that disrupted the collection of practitioners’ operating fees at Seme border recently. 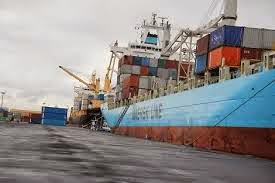 Members of the Concerned Accredited Freight Forwarding Associations (CAFFA) have dissociated their associations from the threat by some customs agents to embark on strike in Tin Can Island Port over allegations of extortion and inefficiency leveled against officials of the terminal operator. 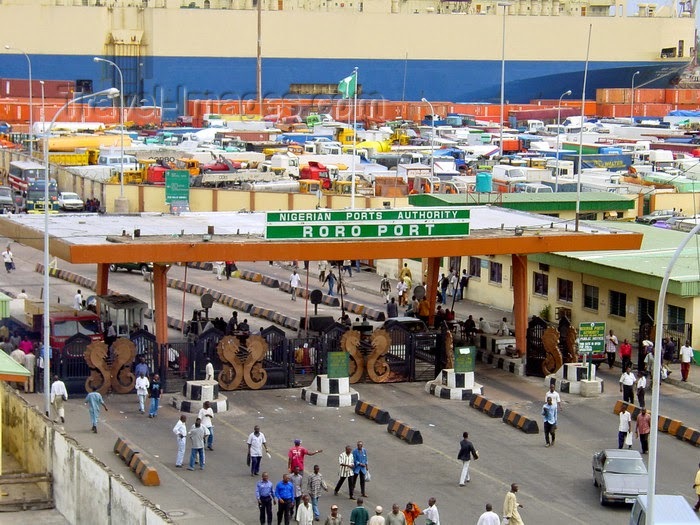 Seaport Terminal Operators Association of Nigeria (STOAN) on Monday said that it had signed an agreement with the Maritime Workers Union of Nigeria (MWUN) which is aimed at increasing the wages of dockworkers. news conference at the Western Marine Command, Lagos. 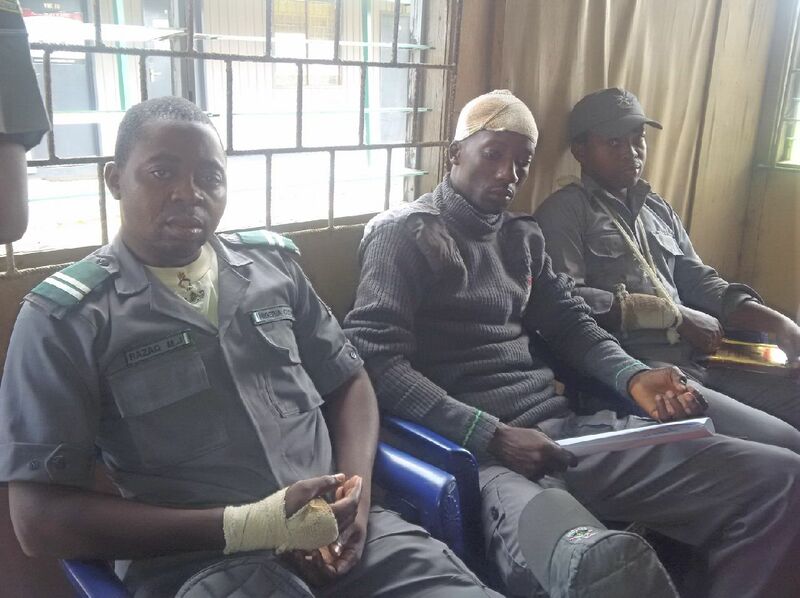 The Nigeria Customs Service (NCS) Western Marine Command, on Monday said it would track down some smugglers who left three of its operatives seriously injured after an attack at Bawe Creek around Badagry. Mallam Nasir Mohammed, the immediate past Port Manager, Apapa Port, has been elevated to the rank of General Manager and now to head the Abuja Liaison Office of the Nigerian Ports Authority (NPA). 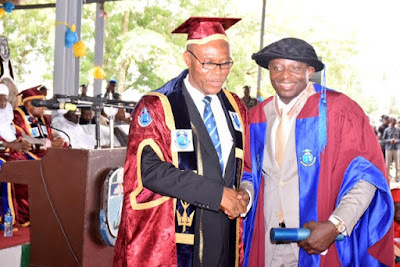 Vice-Chancellor University of Port Harcourt, Prof. Joseph Atubokiki Ajienka congratulating the Director General, Nigerian Maritime Administration and Safety Agency (NIMASA), Dr Ziakede Akpobolokemi after graduating with a doctorate degree in Uniport at the weekend. 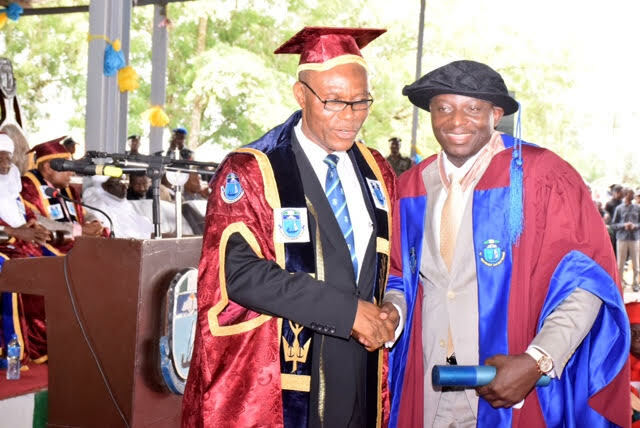 Dr Ziakede Akpobolokemi, the Director General of the Nigerian Maritime Administration and Safety Agency (NIMASA) and 38 other Doctor of Philosophy (Ph.D) graduates were conferred with their degrees by the University of Port Harcourt at its 30th convocation ceremony held at the weekend. 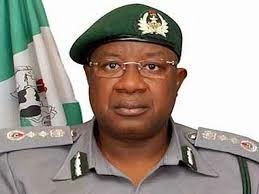 High Chief Michael Kayode Ajayi, who was former General Manager, Public Affairs of the Nigerian Ports (NPA) has been appointed the new General Manager, Western Ports of the authority. 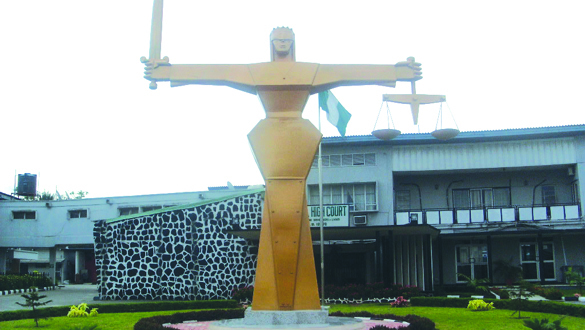 From Left: Deputy Governor of Delta State, Barrister Kingsley Otuaro, Gov. Ifeanyi Okowa, and the Director General of NIMASA, Dr Ziakede Patrick Akpobolokemi, during the courtesy visit on Delta State Government by the Management of NIMASA and the Governing Council of the Nigeria Maritime University in Asaba recently. 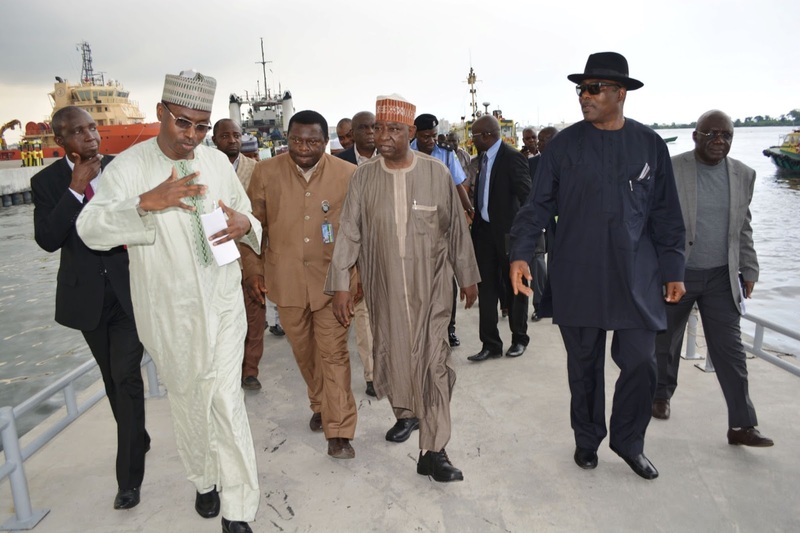 From Right: Pro Chancellor, Nigeria Maritime University (NMU), Prof. (Mrs) Viola Onwuliri, Vice Chancellor, NMU Prof. (Mrs) Maureen Etebu, Director General, Nigerian Maritime Administration and Safety Agency (NIMASA) Dr. Ziakede Akpobolokemi and the Former Senior Special Adviser to Ex-President Goodluck Jonathan, on Maritime Affairs, Hon. 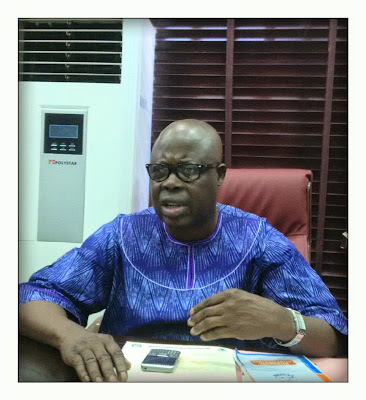 Leke Oyewole at the reception held in honour of the Governing council of the University, in Okerenkoko Delta State recently. The Delta State Governor, Senator Ifeanyi Okowa has stated that the predominance of conventional universities in Nigeria over specialised universities is largely responsible for the current unemployment challenge facing the Nigerian economy. 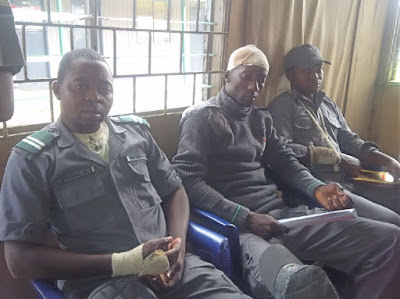 The Nigerian Ports Authority (NPA) has warned against acts of extortion at the Apapa Port by some security agents and officials of government, who are involved in boarding vessels exercise.